As chief investment strategist, Sam Stovall serves as analyst, publisher, and communicator of CFRA's outlooks for the economy, market, and sectors. He is the chairman of the CFRA Investment Policy Committee, where he focuses on market history and valuations, as well as industry momentum strategies. Mr. Stovall is the author of The Seven Rules of Wall Street, and writes weekly Sector Watch and Investment Policy Committee meeting notes on CFRA's MarketScope Advisor platform. His work is also found in CFRA's flagship weekly newsletter The Outlook. 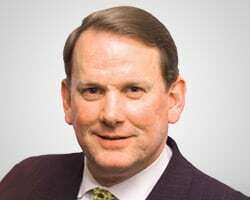 Prior to joining CFRA, he was managing director and chief investment strategist at S&P Global for more than 27 years and served as editor-in-chief at Argus Research, an independent investment research firm in New York City.